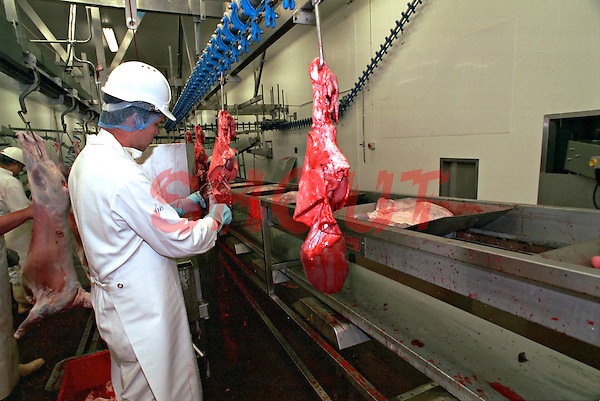 Government appointed meat hygiene service meat inspector at work in an abattoir. He is trimming the offal, from the carcase. Please note that our pictures must only be used to illustrate the subject in a positive manner. Read applicable T&C.